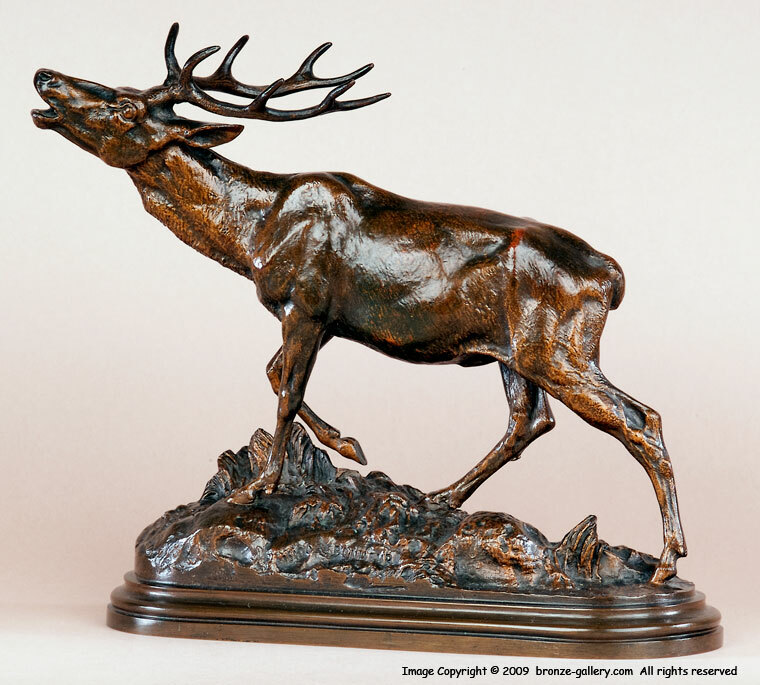 Isidore Bonheur was well known for his bronzes of cattle and horses but he also sculpted fine examples of wildlife. His Stag Calling or Cerf sur un Rocher shows a proud Stag on a rock calling to his herd. This fine model makes a pair with the Fallow Stag we are offering. The pendant Fallow Stag faces this Stag and they compliment each other well. This Stag has fine details, you can see the texture in his fur and he has a fine rack of antlers. He is on a rocky base and signed Isidore Bonheur on the base. It is unusual for Bonheur to sign his full name as he normally signed I. Bonheur. This fine and rare bronze was cast by the famous Peyrol foundry circa 1855. Hippolyte Peyrol was Isidore's brother in law and the Peyrol casts are of superb quality. 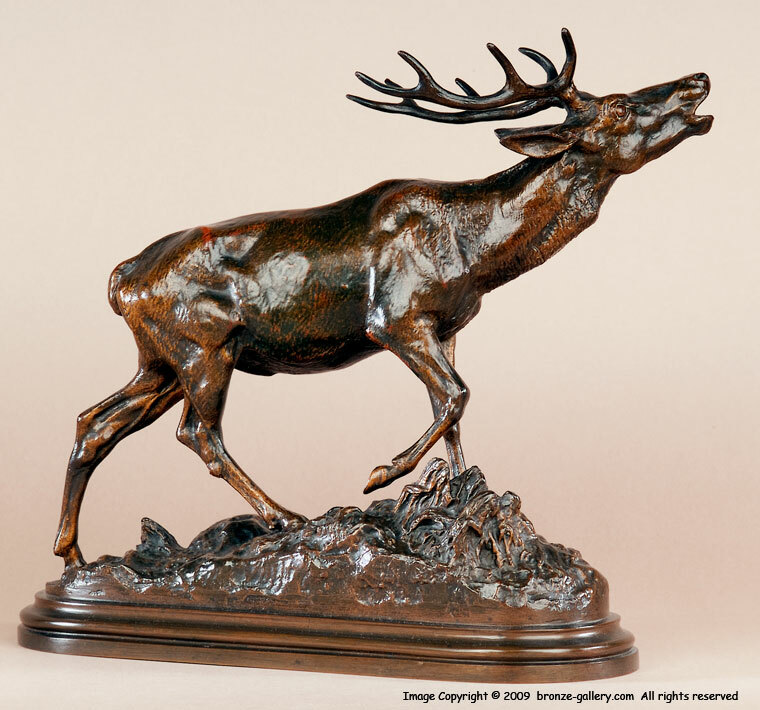 A fine bronze for the collector or hunter.